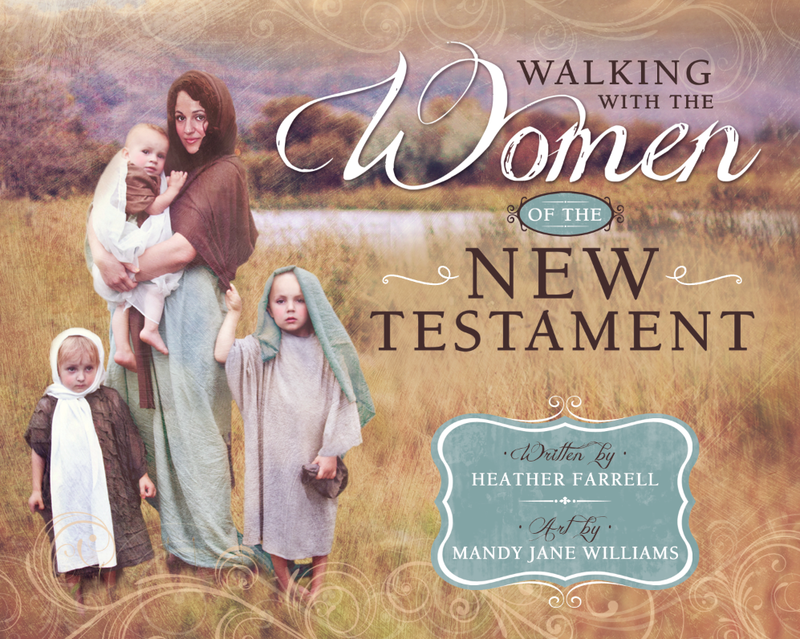 Women in the Scriptures: I'll be Wearing a Skirt on Sunday, but it is Okay with Me if you Wear Pants. I'll be Wearing a Skirt on Sunday, but it is Okay with Me if you Wear Pants. I haven't been on the Internet much the last few days and so yesterday was the first I heard about the "Wear Pants to Church" event that Mormon feminists are planning as a show of solidarity. I don't consider myself to be a "Mormon feminist", as I've mentioned before none of the brands of feminism I've ever encountered meld well with my soul. Yet I do very much understand the pain of struggling with feminist questions in the gospel. The high school and college "me" would have worn pants on Sunday. I have always had a big suffragette streak in my heart and this would have been just the type of thing that would have appealed to me. When I told this to Jon he just laughed and said, "Yeah you would have, but you have changed a lot since then." Once in seminary I had a question about D&C 93 (where it talks about light, truth, and intelligence) and after class I went up and asked my teacher to explain it to me. He smiled big and said, "Heather, that is a big question and I could explain it to you but I am not going to. If I did that I would rob you of the experience of finding it out for yourself." I was frustrated by his answer because I felt he had belittled my request. Yet over the next several years I found myself coming back, and back, and back to D&C 93. Until one day, about 4 years later, I was sitting in my college room studying D&C 93 for probably the 1,000th time when I had a huge spiritual epiphany. I studied until four in the morning. What the Lord taught me blew me away. I have tried to explain it to others since but I can't. It was something that the Lord taught me in my soul... way deep down and it changed the way I looked at the world. After that I was grateful that my seminary teacher hadn't answered my question the way I wanted, because what I learned from struggling and questioning taught me so much more. I feel that same way about many of the questions I have about women in the gospel. For a long time I tried to put them on my "shelf" of unanswerable questions, but that shelf got too heavy. So instead I started to putting them on "stairs" and started to climb towards understanding them. In my mind a "shelf" indicates passive waiting for an answer (that may or may not exist), while putting a question on a "stair" means having faith there is an answer and then actively searching, questioning, and struggling towards understanding. There is much I don't understand, but I feel like the raw fact of struggling for understanding has taught me much more than I would have gained if it had been handed to me on silver platter. That doesn't mean I still wouldn't like the silver platter one day, but I feel my soul has grown so much because I have had to struggle. "And thus I will do unto thee because this long time ye have cried unto me." "I believe the Lord wants us to be like the brother of Jared-- to be proactive in understanding our stewardships as women, and to collaborate with him in understanding and creating our life journeys. I believe that he has great truths in store for us, and that we need to prepare ourselves and ask for insights before we will receive them as a churchwide whole. I believe that as we "cry unto the Lord" (Ether 1:35,37,39), the clouds of darkness will be removed from overshadowing us, and we can come to truly understand our past, present, and future as daughters of Heavenly Parents. God expects us to engage him, to seek answers, to propose answers, and to come to be like our Savior. In return, he promises to remove the darkness in our lives and reward us with peace and light." So I guess that this is a long way of saying that if you wear pants to church on Sunday as a show of solidarity or protest, I understand. It is okay to struggle. It is okay to ache. It is okay to have unanswerable questions. Lets just keep showing up, and crying to the Lord, and climbing those stairs, and taking our answers to the right source like the Daughters of Zelophehad did. I have faith that the answers are there... and sometimes the struggle is what will teach us the most. That is why I won't be wearing pants to church on Sunday. My struggle isn't with any mortal edifice, organization, apostle or prophet. They can't give me what I really want. My struggle is with God. Only He has what I want, and I know that if I wrestle with Him long enough I will get it. And what I wear to church on Sunday won't change that. AMEN! Great post Heather. I can never articulate these things, but I love the way YOU wrote about it. Thank you for sharing. Very wonderfully put. Thank you. I DO consider myself a feminist and I AM Mormon. I never felt judgy towards women wearing pants to church. The issue is not with the gospel but with members judging other members. SO that is how I feel. 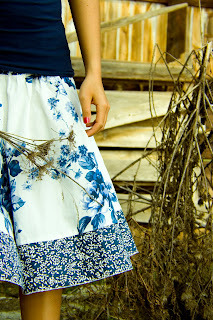 To me skirts are a tradition like white bread for sacrament. Can you use rye bread or pumpkin bread? Yes. Why is it not used? Because it is not traditional. Some people would be distracted by partaking in a different color or flavor of bread. I don't really care about what anyone wears to church. I don't feel pressure to wear a dress or skirt but I do feel pressured to wear pants this Sunday. Maybe I will, maybe I won't. My testimony doesn't depend on whether or not I get judged for what I wear to church. I don't always understand your blog but you are an articulate writer, very readable and always have something interesting to convey. I didn't realise that Mormon women don't wear trousers (pants) to church. When I was little, going to church (we're not Mormon) was just about "Sunday best" and looking presentably neat and tidy. (Now that I'm a mom, if I make it to church with my kids in Sunday best then whatever I wear is a trivial matter to me!) I don't think God judges people on what they wear but it is nice to wear nice clothes to church - it's part of the "ritual" of the day, I guess. Fiona, thank you so much for commenting and reading my blog. Sorry if sometimes I speak too much in Mormon jargon ;) Traditionally most Mormon women have always worn dresses to church but it just a tradition. Some women wear pants (personal preference, health issues, modesty, etc..) and it hasn't been a big deal in the past. LDS churches don't have a dress policy and everyone is welcome, no matter what they are wearing. Dresses and white shirts and ties are traditionally considered LDS "Sunday best"
I found out about "wear pants to church" yesterday, when I got a facebook update from CJane, her posts were interesting, some of the comments frightening. I've been thinking about the issue ever since. Thank you for your thoughtful and articulate post. You have added many insights and questions to my thought process. A friend sent a link to an article about this subject and I was amused. Before I joined the church of Jesus Christ of LDS, I was a member of a Baptist church,(all my life), so the women all wore dresses and not because someone told them to. I have since visited many other denominations and I either wore pants or dresses. When I joined the Church, I simply asked what the dress code was, I was told dresses, I asked again if we could wear a dressy pantsuit, nope. I said OK, no problem. There are women who wear pants for their own personal reasons, who am I to judge? I don't understand how wearing pants to church equates to gender solidarity. Is gender in the clothes we wear? Are we attending sacrament to serve God, or man? In this solidarity as it were, shall we ask as Moses did to the children of Israel, "Who is on the Lord's side,who?" Are we serving God, who only requires as a sacrifice or show of comittment is a broken heart and a contrite spirit, that "I may heal thee". 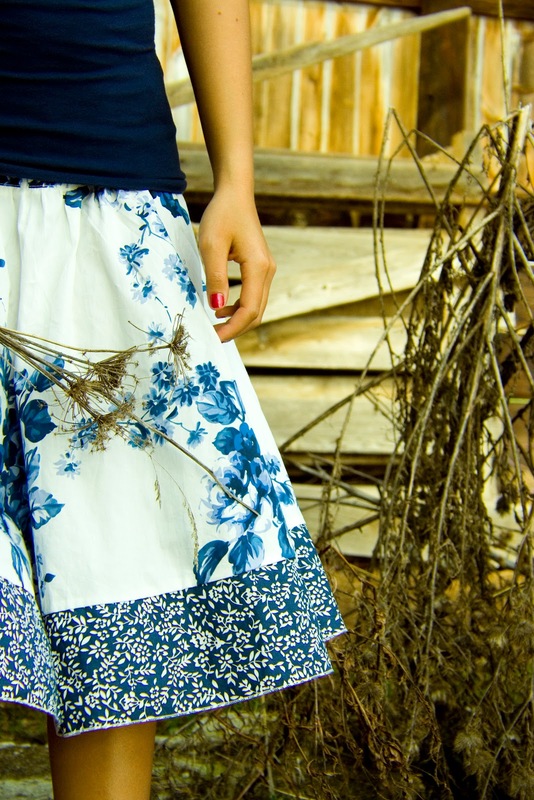 What happens when all the women wear pants to church, is there someone keeping tabs on this? Will someone go back an report, and to whom will they report to? Just saying.. I was intrigued by the idea of debunking the Mormon myth about it somehow being inappropriate for women to wear pants to Church - and honestly if that is all it was, I probably would have worn pants (if I had any that fit over my monstrous pregnant belly) on Sunday. But when I found out it was about more than that, I decided it wasn't for me. But I, too, recognize the hurt that some women feel. It's real. And judging them only makes it worse. And if they want to wear pants to Church on Sunday, that's totally okay with me, too. *starts singing* "As I have loved you, love one another..."
And I have to add I have eaten lots of different kinds of breads in sacrament (ha ha, having kids makes you even more aware of the different breads - "Mommy, that is GROSS bread" said a little too loudly while taking the sacrament can cause a little bit of embarrassment...) In fact, I've been in several wards with people who have dietary restrictions, and it's kind of cute to see their little rice cake in a baggie being passed around with all the bread. As many of the other comments have said, this post describes exactly what I've been feeling. This phrase, "none of the brands of feminism I've ever encountered meld well with my soul," describes me perfectly. I've been struggling with how to explain my thoughts and you did so in a way that truly touched me. Thank you. This is not about pants. It is not about dresses. It is not about dress codes. The pants protest is merely the vehicle chosen to talk about deeper issues. So why does everyone keep talking about pants? You are right, it isn't about pants at all. What is happening with this Mormon feminist "call to action" is trying to make a public statement that, like wearing dresses to church, some LDS beliefs about gender is tradition and that we should break with it. I don't really care about the pants to church thing but I do have a problem with thinking that you can change doctrine or force God's hand by a show of force, albeit a passive and quiet one. That has never been how God works. What I was trying to say in my post was that if the only think Mormon feminists want are cultural things like women praying in General conference or the title of President used to describe a RS president, then the pants thing might work. But if they really want more, not just the worldly equivalent of equality, they are barking up the wrong tree. Even the prophet doesn't have the power to give us the added light and knowledge we want unless the Lord gives it to him and tells him we are ready for it. I feel like our time would be much better spent not petitioning "the church organization" for more outward equality but to start petitioning (and being ready to receive) God for more understanding and revelation concerning women. Personally that I where my heart lies. I've struggled over this too because I feel that a lot of women want to provide feedback to our leaders about their concerns or questions, but we don't have any appropriate avenues for that. There isn't a church "feedback" box, and we're not always encouraged to write letters to the Twelve... almost every bishop I've ever heard of who was approached about these questions literally didn't know what to say... etc. Our church is lead almost entirely by men, so it's no surprise that concerns that occur almost only to women would not be concerns that are known about, understood, or addressed at headquarters. So I understand the desire to find a way to say "we have concerns. we're hurting. we exist. there are a lot of us." There's nothing wrong with trying to communicate that to our leaders. Indeed, a recent emphasis has been placed on the importance of counseling, participating, and providing feedback. Elder Gonzalez put it this way: "participation fosters inspiration. When everyone has an equal chance to contribute, the combined ideas of individual people become stronger." In the June Ensign, this amazing description of presiding really resounded with me: "Those who preside 'watch over the church' (Alma 6:1) and are responsible for ensuring that unity, equal participation, and other principles of counseling are being practiced." (source: http://www.lds.org/ensign/2012/06/counseling-together-in-marriage?lang=eng) Not only is it reasonable to want to be heard, but one of the responsibilities of those who preside is actually to ensure unity, counseling, and equal participation. So it is actually critical that those who have ideas or concerns have an avenue to express them faithfully. But how best to do that, when no clear avenue is provided? I believe this pants effort was an endeavor to create an avenue. I'm not sure whether it was effective. But I'm also not sure what other avenues would be effective. It's a really tough thing, and I admire these sisters for trying to find an avenue that would not break rules, but would symbolically represent their concerns. If we don't agree with that method, then I'd love to have this question answered: what is the most appropriate way for hundreds, possibly thousands of women (and men) to communicate concerns and questions to our leaders? 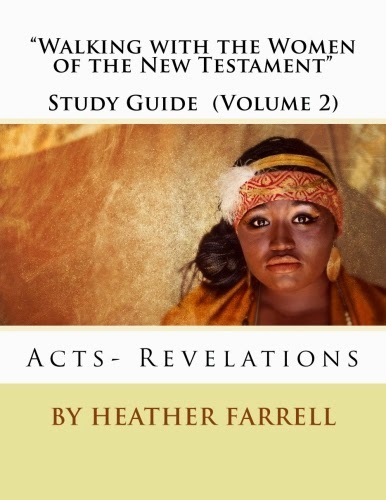 Heather, I should add that I think that the point you make about receiving revelation applies to our leadership too-- they need to ask the questions, and want to know the answers. That's the model we see with Joseph Smith, and so many other scriptural prophets and modern prophets. So I 100% agree with your assertion that we need to be doing our part, on our knees and in our studies, to be prepared for new insights and to be asking for them. And that will definitely result in personal revelation, I am sure of it. But I think our leaders also have to do that if we're going to get revelation for the church as a whole, and the best way to do that is if they can understand the concerns from the body of the members. So I believe there is a balance between doing the work on our own knees, and also finding a way to let our leaders know our concerns, our questions, our insights... and our preparation. That we are hoping for more, as a church body. I'd love to hear your thoughts on that. I have some similar thoughts as Kels. 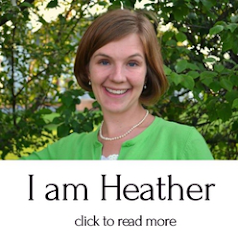 I imagine you've come across this, Heather, and I am interested in your thoughts. President Hinckley is said to have told a reporter, in answer to questions about women and the priesthood, that The Lord could possibly change the rules through revelation, but there wasn't any "agitation" for it because the majority of LDS women were happy with the church. I feel many women have probably struggled with questions, but kept the struggle private and the church remains unaware or their unhappiness with the way things are. I personally don't feel negatively impacted by gender issues in the church, but I have compassion for those that do, and I am not really sure what to do with it. I'm not sure this event is the best way to draw attention to the issues--partly because it is being perceived by many as a collective middle finger at the church and its leaders, even though I don't think that is the intent. But it certainly is drawing attention. These are great questions... hard questions. First off Brittany, I have read that quote about President Hinckley and I think that it has been taken out of context. It would be really hard to be a prophet and have people analyze everything you say, one way or the other. I don't think that President Hinckley was saying that if there was enough agitation for the priesthood that maybe things would change, he was saying that for most women in the church the issue of priesthood isn't a big deal--which is the truth. 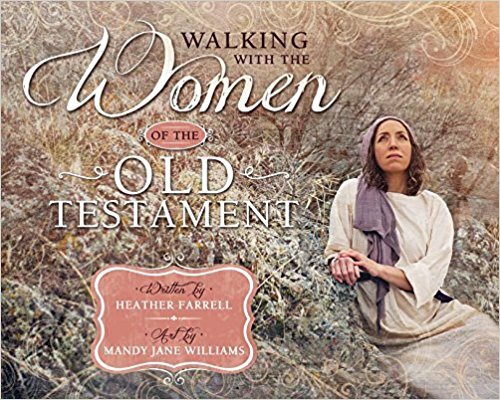 For most women it isn't a big issue, but there are women and men for whom it is a big deal and I am certain that the prophet and the apostles are aware of it. I don't think there is a group of 13 men ANYWHERE In the world who understand all the issues as well as our apostles and prophets do. I once someone say that President Hinckley had a better grip on world politics and issues than most world leaders. I am certain that they are praying and petitioning God to know what to do to help God's daughters. By kindness, and pure knowledge, which shall greatly enlarge the soul without hypocrisy, and without guile—"
God doesn't change just because we "agitate" for it. He does hear the cries and petitions of His daughters though, and he acts on those. Really I don't think we have to worry that our General Authorities aren't aware of the issues and challenges women in the church (all over the world) are struggling with. They know. But I do think that there are times when the men in our local churches do need to have their hearts changed and their eyes opened to what women feel and are struggling with. I have found in my own life that the best way to help those situations is to talk to them, as scary as that can be, and explain how I am feeling. I honestly think that many men don't think about many of the "feminist" issues, not because they are shovanist, but because they have never thought about that them that way. It has helped the men in my life immensly for me to help them put on my "female lens" and look at things the way I do. For example, not long ago my husband and I were in a sacrament meeting on the 4th of July and the man speaking gave a wonderful talk about our founding fathers and the creating of the US. I loved it, but afterward my husband turned to me and said, "Oh, man Heather I am so sorry." "Why", I asked. "Because all of those foudning fathers were married and that man didn't talk about a single woman. I think I know how you feel now..."
It was a small thing but I felt like he had gotten a glimpse of the world through a female lens and that changed his perspective. It has made him choose his words more carefully and look for ways to include the stories of women into his talks when he speaks. If we want to help the men in our lives have that female lens we have to speak up. Not in a brusque or patronizing way but in a loving Christ-like way and help them see the world through a different lens. But that isn't something that can be forced on anyone in a letter from the church office building or from any movement or organization. That is something that can only be done person by person. From women loving and helping the men in their lives, one by one. And the problem is that that approach is not as glamorous and doesn't have as noticeable or measurable results as big "top-down" approaches would. While there are room for some top-down things (like requiring that women be included in church councils, etc. ) they don't have the power to really effect a sustainable change. That has to happen within people's hearts. Whenever I come across someone who drives me crazy or who sees things in a different (not always good) way than I do I try really hard to love them more than usual. To understand them, so they will want to understand me and what I am struggling with. And there are also a lot of things I have to "let go" of and not let them bother me. The organization of the church and the way it does things is never ever going to be perfect, I have to accept that and carve my own little place for myself inside of it anyway. Personally I feel like we don't really need a "suggestion" box because we really should be talking with our leaders (bishops, stake presidents, temple presidents, etc) about the things we are struggling with. But I am afraid that too often we are scared to voice our perspectives. Which is why I think this "pants day" thing is such a big deal for women. For some it may be the first time they are giving "voice" to their struggles. I think that in that respect it is a good thing but I think that perhaps the way it is being done is not really the best way. Heather, thank you for taking the time to respond. I did more thinking on the Hinckley quote after I wrote my comment and considered that he may not have meant it the way people are taking it. It makes more sense that he was trying to say that he didn't think there is a need for things to change and he was trying to explain it to someone not of our faith, which would be difficult--trying to explain that things could change, but they probably won't because the Church offers perspective on women's divine destiny that, despite not looking like "equality" the way the world defines it, is satisfying to the majority of women in the church. A tough idea to explain. I agree about addressing our leadership personally. I've actually been making an effort to do that too, and it can be a bit scary, like you said! :) I also wonder if writing letters to our leadership at headquarters is an effective method. 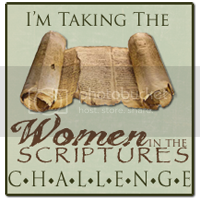 In the early church, it was easy to share insights or questions or inspirations with leadership (that's how the RS came about... the women were inspired to organize themselves, Joseph observed it and thought it was a great idea, asked God about it, and God agreed). But with a global church, we don't have the benefit of major church leadership in our local community. So I think perhaps we (a) speak with local leadership and (b) write, when moved upon, to our leaders at headquarters, to send our insights/observations/concerns/questions up the line. "It is okay to struggle. It is okay to ache. It is okay to have unanswerable questions. Just lets just keep showing up, and crying to the Lord, and climbing those stairs, and taking our answers to the right source like the Daughters of Zelophehad did. " Excellent. Love your last comments about what it really is about and what we are all really searching for! Thank you! Thank you for this post. It really resonated with me! Thank you Heather! This is one of the best posts I've read this week! This is such a great post! I feel the same way, I feel like I understand the struggle, I get it and I feel their pain but for me I've moved beyond it in this sense. Its hard to explain really, I am just like you years ago I would have been right there pants and all! I have always self identified as a feminist in general terms, when you get into deconstructing what that term means and analyzing all the different types of feminism then things get merky for me. My second BA is in Gender Studies so you'd think this was right up my ally but it just isn't. I agree with you about the Priesthood...I think things finally changed for me when I met my husband and realized that what may be perceived as inequality really isn't, there are just differences, different experiences, roles, responsibilities, it isn't a competition where one side is given some great advantage. I know that things feel that way at times but when it comes to the gospel it is there for everyone, with open arms. I am deeply disturbed by all of the vitriol that I have read around this issue over the past few days. I feel that individuals male or female should wear their best when they attend church whatever that may be. If a woman feels more comfortable and empowered in a pant suit and that is her best, and that is what her wardrobe consists of then great who am I to judge! I generally wear a skirt or a dress, I've attended funerals at church wearing pants though. If I ever needed or wanted to wear pants to church I honestly don't think it would have occurred to me that it bothered anyone. Thanks for sharing this! In our Ward we have many many homeless people in it. In fact I am one the compassionate service people and they made me specialize in housing. I am so very glad they came to church that I am not very much concerned with what they wore since they do not have much to begin with. Many of these ladies cry because they want to honor the fact they are forgivable and feel like they can start over and have a better life. They know they do this with the way they dress to church. I am telling them all the time to just make sure there clothes are clean it does not need to to match. Hearing other woman being prideful and using the church to dress like a man to rebuff the fact that they are Help-meets makes me very angry. The church is practice for the temple. If you let those ladies wear pant suits to the temple it will need be cleansed in the same way Christ cleaned his temple. Do not stay quiet! 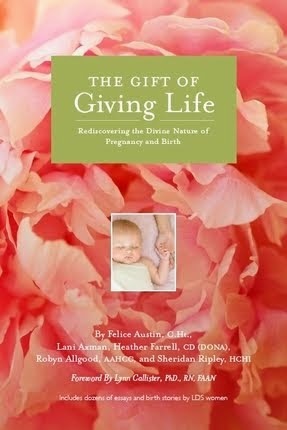 Find a loving way to remind them of there womans blessings. I was so happy to see little baby Jesus in Marys arms and seeing that a first born son who opens the womb will be blessed. I have a first born son whom I do not get see. I have faith in that scripture he is taken care of. I have that blessing as a woman just as my son has that blessing because he will be a man. We have roles and to deny them is not of Christ and what is not of Christ Is not of HIM. Staying quiet is allowing that sin and makes you an accomplice. There is judging that is cutting down and offensive and that is a sin but there is righteous judgement when done with teaching and love that can be helpful and move millions. Try to move millions in the name of Christ and he will be there for you. He will bless you for it. I have tried, but I just can't leave this without a response. I find the comment, "women being prideful and using thd church to dress like a man to rebuff the fact that they are help-meets" very troubling. There are assumptions about the motivations of these women implicit in that statement. I don't think it necessarily is about dressing "like men"--these women probably all wear pants every day besides Sunday, just like I do. I don't wear jeans to the grocery store to "dress like a man." I understand your concerns about clothing in church as a political statement, but I really feel that, from actually listening to these women, that this is not about pride, but it is about pain--pain about questioning their place in the Church as women, about having actually been disrespected at church by men, or about feeling unwelcome because they may have some non-traditional thoughts about gender and the Gospel. Also, I am currious as to what definition of "help-meet" you are working from. 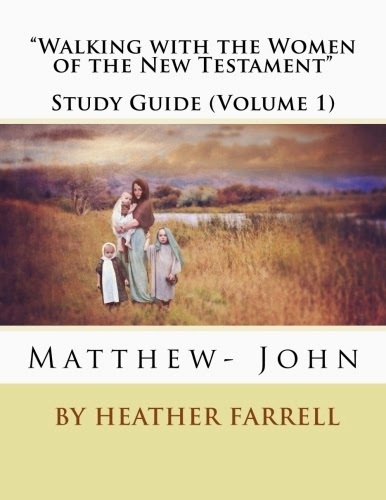 There is a great one here: http://womeninthescriptures.blogspot.com/2010/11/real-meaning-of-term-help-meet.html?m=1. With that definition, it almost could be argued that it is to be viewed as help-meets and not as less-than-equals that these women are doing this. I just wanted to say how deeply appreciative I am for this thoughtful, peaceful post. I think you've done a beautiful job and I'm thankful to have had this post to share with friends. Thank you. Really excellent thoughts on going to the right source with our questions. The Lord doesn't provide revelation when we demand it...but he gives us understanding when we ask humbly, in obedience, with real intent, at the right time...in his time. Climbing the stairs is a great analogy. Thank you! I think this post is great---empathetic and loving of the viewpoints of others, even if you aren't totally on the pants bandwagon. Thanks for sharing. Heather, I was wondering if you would address this issue. I'm so glad you did! I can understand the viewpoint of those trying to find an appropriate avenue to show that there are concerns common to many. The method didn't sit right with me for exactly the reasons you describe. If the outcome hoped-for is a change in doctrine of some kind, this event is missing the source. The energy would be better spent on your knees, wouldn't it? If you're just trying to get some of the cultural practices to change....okay, I could see that, I guess. But it still seems rather like trying to force the hand of the leadership. Plus, as others have mentiioned, you could wear pants to church in my ward and no-one would bat an eye. An excellent, balanced post on a difficult topic. I consider myself a Mormon feminist, in the sense that Julie B. Beck or Marjorie Hinckley are feminists. I don't think anyone would question their senses of self or roles within the church. And they didn't need to "agitate" to get their message across. They simply lived the gospel. No one wore pants in my ward. Not even the more forward thinking feminist types. I think the organizers of this movement missed the boat entirely.